Ghost ships have a permanent berth in the folklore of Newfoundland and Labrador. They sail out of the night or emerge from stormy seas in countless harbours across the province. Yet while many a port boasts a ghostly galleon of its own, they are few phantom ships as mysterious as that of the Bay of Islands. The vessel was first spotted several generations ago. Along the shores of the bay lived an old Native American woman in a small cabin. She lived alone, far from the nearest settlement, and was more than content with her life of solitude. One evening, the woman's peaceful stretch of shoreline was disturbed by a strange series of noises. The night was filled with the sounds of a ship close by. The woman could hear the sound of men shouting orders, the sound of water lapping against its hull, the sound of ropes twisting under strain. Amidst these noises she could make out another noise. This was a sound more troublesome: the echo of clanking chains, of men in iron fetters. A slave ship had taken shelter in the bay. Certainly the Bay of Islands is no stranger to sailing ships. Captain Cook charted its waters, finding the bay an excellent base when he visited the coast in 1767. 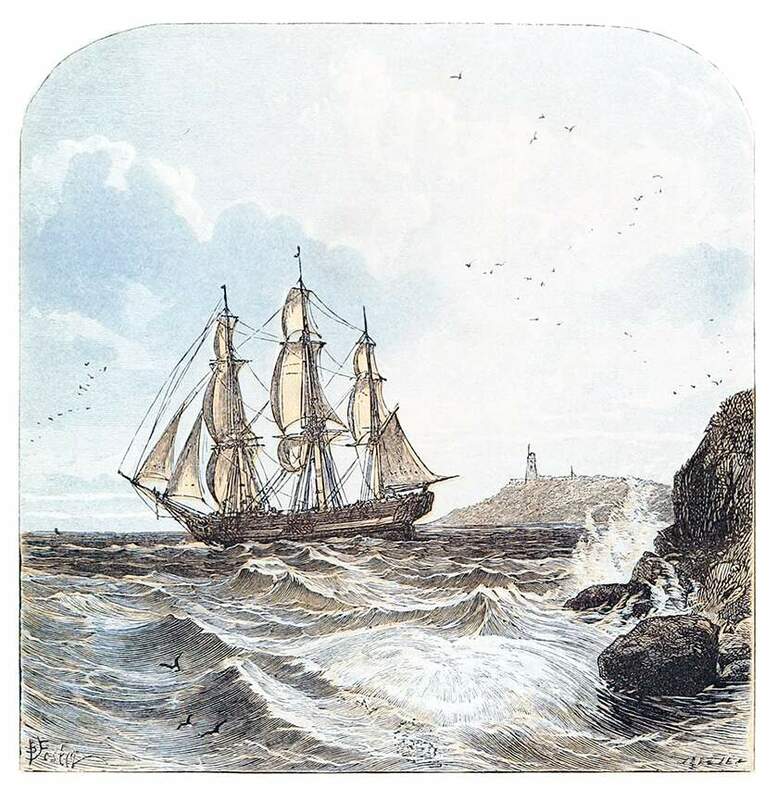 Cook was marine surveyor of Newfoundland from 1763 to 1767. His detailed charts made life safer for mariners, and he made maps so precise they were usedby generations of seafarers afterwards. Pirates too had ventured into the bay, seeking safety from storms and from those who sought to bring them to justice. But a slave ship was something rare, and unheard of in the woman's lifetime. Years had passed since the last slaver had made its run between Africa and the New World. The appearance of such a ship now bode no good. The woman opened the door to her small cabin and stepped out onto the beach. From there, the sounds of the ship were louder. She looked out onto the waters of the bay and was startled by what she saw. The evening sky was clear, and a sliver of moon and twinkling stars shone down on a empty bay. No ship graced its waters. For as far as she could see in any direction, she was alone. The noise did not stop however. It was as if a ship lay at anchor just in front of her, but was hidden behind some invisible veil. Clearly, a ghost ship had sailed into the bay from points unknown. Such a dramatic and eerie haunting would no doubt provoke a feeling of great terror in the hearts of many. But the old woman had lived a long life of self-sufficiency, and had seen much in her day. No ghost ship was going to scare her. After the initial surprise of the encounter wore off, she took matters firmly and decisively into her own hands. She disappeared back into the sanctuary of her cabin for a moment, only to re-emerge holding in her wizened hands an ancient shotgun. She marched down to the edge of the beach without any sign of fear. Raising the gun to her shoulder, she took aim at the general area where the slave ship seemed to be, and fired a mighty volley into the nothingness. The shot reverberated throughout the night, and then died away. The air resumed its normal stillness, and the clanking and groaning of the slave ship could be heard no more. Satisfied at the outcome of her attack, the woman slung the shotgun over her shoulder, and marched back into the cabin. She bolted the door behind, and hung the weapon in its usual place from the one of the cabin's exposed beams. She then extinguished the oil lantern she kept by the bed, and went to sleep, untroubled by any further ghostly troubles, phantom ships or mysterious noises. When the sun rose and spread its warm light across the waters of the bay, the woman rose as well. She left her cabin and once more made her way down to the water's edge. The water was as calm and as devoid of ships as it had been the night before. She stood still for a moment and tilted one ear to the water, but no noise out of the ordinary could be heard. Soft waves licked the smooth stones which defined the curving line of the beach. Looking into the water, the woman noticed something peculiar within easy reach. She stooped down, and thrusting her hand into the coolness of the bay, withdrew the object from its watery bed. Rusty and weathered, with weak links and missing pieces betraying its venerable age, was a set of iron manacles. While the slaving vessel was not seen again, the woman held on to the physical proof its visit for many a year. She would share the story with those rare visitors to her cabin, and would pull out the old manacles as an indication of her honestly. Forty or so years ago, the woman, grown ancient with the passing of time, told her story to a young boy, and showed him the manacles. The boy grew in a man, but never forgot what he had seen or heard.. Years later, he told they story to his son. In turn, his son told the story to me, and now I have passed it along to you. When the wind dies down and the night grows quiet over the Bay of Islands, and the moon has diminished till it is just a sliver of its former self, listen carefully. photo courtesy Old Book Illustrations. The Harbour Grace Corpse Light - Friend or Foe? Mysterious lights have a great tradition in Newfoundland and Labrador. There are numerous stories from around the province of an eerie light that would appear in times of danger and was usually followed by a tragic incident. This pale flame, known in the Latin as ignis fatuus, has been ofttimes reported flickering over marshy ground, and, it is said, over churchyards. It often appears specifically to lead travellers astray, into bog holes, or over cliffs. This strange phenomena is known most commonly in Newfoundland as the Jacky Lantern, the West Country England name for the Will o' the Wisp. However, it was also known as a Corpse Candle around the capital city of St. John’s, and as a Corpse Light in the picturesque and historic community of Harbour Grace. 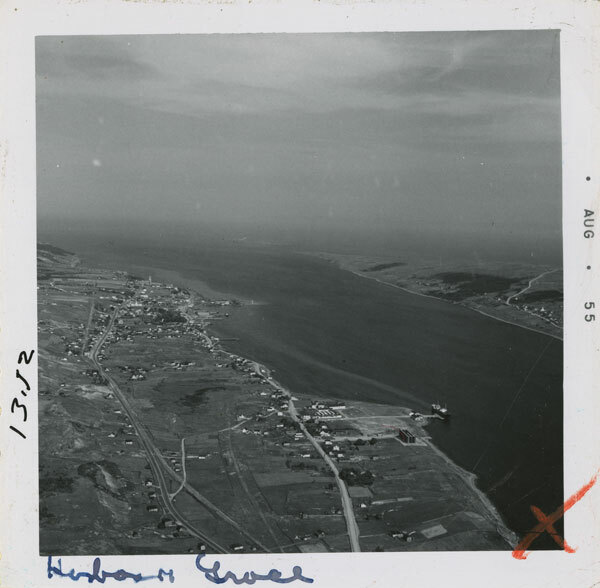 Harbour Grace is one of Newfoundland's oldest outport communities, and one with a rich and colourful history. As early as 1550 Harbour Grace was a thriving fishing community, with the majority of fishermen arriving from the Channel Islands. In the early 1600s, oral tradition holds that fortifications were established at Harbour Grace by the famous English pirate Peter Easton, who plundered fishing stations, stole provisions and munitions, induced men to join his fleet, and generally wrought havoc along the eastern coast of Newfoundland. The community is no stranger to the stuff of legends, and the corpse candle has a firm place in local folklore. In Harbour Grace, however, these strange lights were not always evil or dangerous, nor did they always lure travellers into treacherous areas. In one documented case, one corpse light actually led the Revered Canon Noel and his wife to safety during a blizzard just outside the community. That event took place at the very beginning of the twentieth century. The Reverend and his wife had taken their horse and sleigh to a blacksmith, several miles distant. Delays meant the couple had to leave during a storm. Their horse was soon bogged down in high snow, and they realized they were completely lost. A bright light began moving around. Believing it to be rescuers, the couple shouted for help. The light approached them and passed by, but there was no sign of a person carrying it. The frozen pair walked in the direction of the light. This led them to a stone fence, which in turn led them to a house where they found shelter for the night. When the owners of the house were told of the strange light, they expressed no surprise. The corpse light was no stranger to the citizens of Harbour Grace. It had been seen many times before, generally before some terrible tragedy. For whatever reason, the ghostly glow had decided to protect the Reverend and his fair wife, instead of leading them to their doom. c1955. Fonds GN 186, The Rooms.